Now that we’re in the swing of spring, we’ve covered the must have pieces, the must have prints, and now it is time to dive into color. And for spring it is diverse and fabulous. The colors go two ways: dark and moody and light and sunny. 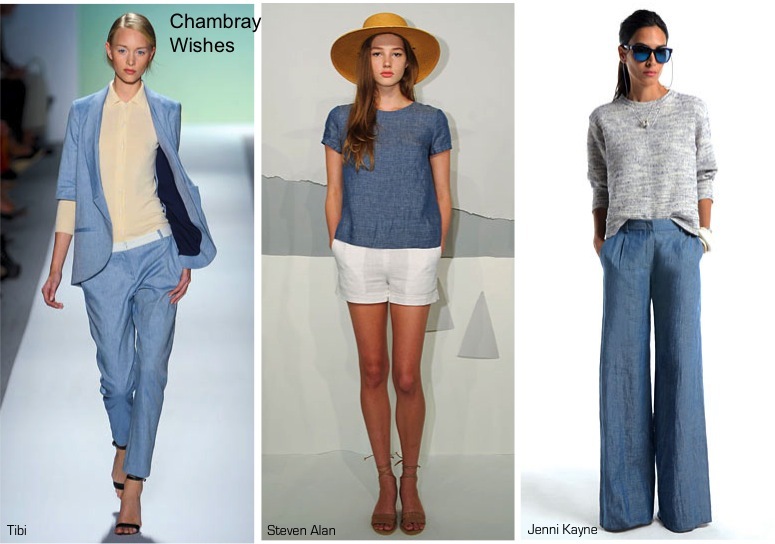 Chambray Wishes: While this is technically a fabric, the color appeared multiple times throughout the runway shows. The look is sun washed, casual and in these applications a bit worn in, for an easy, breezy spring. 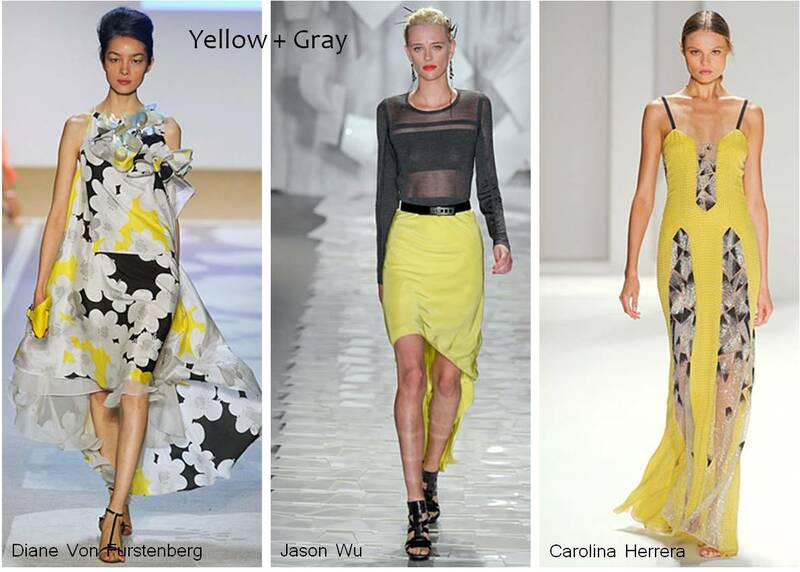 Yellow + Gray: The yellow this season is a softened lemon or saturated gold, and richer than previous seasons neon. The yellows are contrasted with washed out grays, charcoals and black. 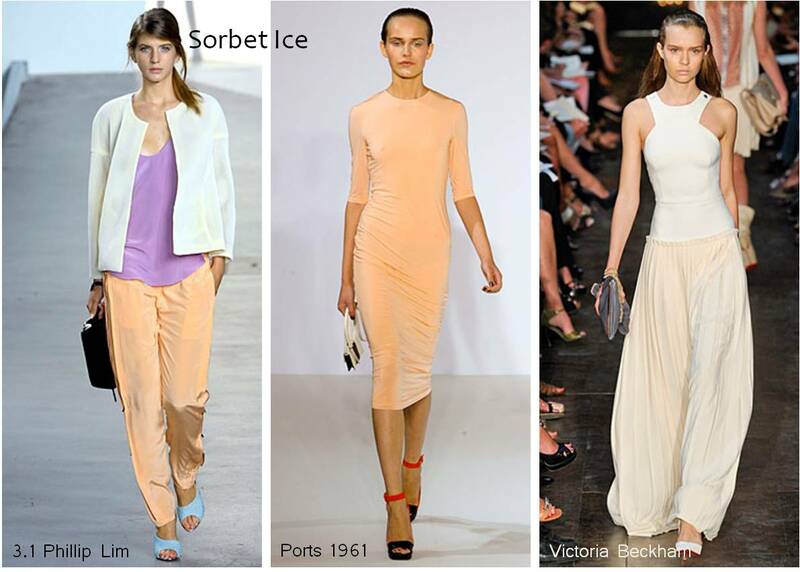 Sorbet Ice: The spring runway was also print filled and so the assortment of sorbet colored pieces was a palette cleanser. The freshness of color was light, clean and icy bright, without ever feeling cold or sterile. 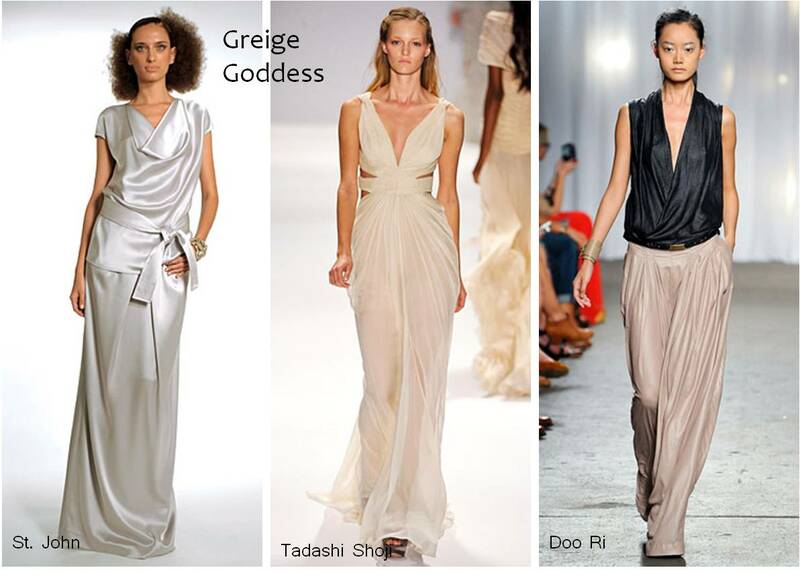 Greige Goddess: This is more of a muted combination of colors, but the Greige Goddess look was in full effect on the Spring runways. Featuring gathered and draped fabric, gentle sheen, and the muted tones of beige with hints of metallic woven through. Which trend are you most excited about? Which have you tried so far? Tell me in the comments! This entry was posted in fashion week, Her Closet, Shopping and tagged key spring 2012 trends, must haves for spring 2012, runway to real way spring 2012, spring 2012 colors, spring 2012 looks, spring 2012 runway styles, spring 2012 trends, spring mint trend, spring pastel trend. Bookmark the permalink.